"... Barlow has focused her considerable talents and jazz sensibilities on the 60s ... Barlow has written all the arrangements herself and the stripped down instrumentation that predominates fits her light, pretty voice like a Pucci print dress. 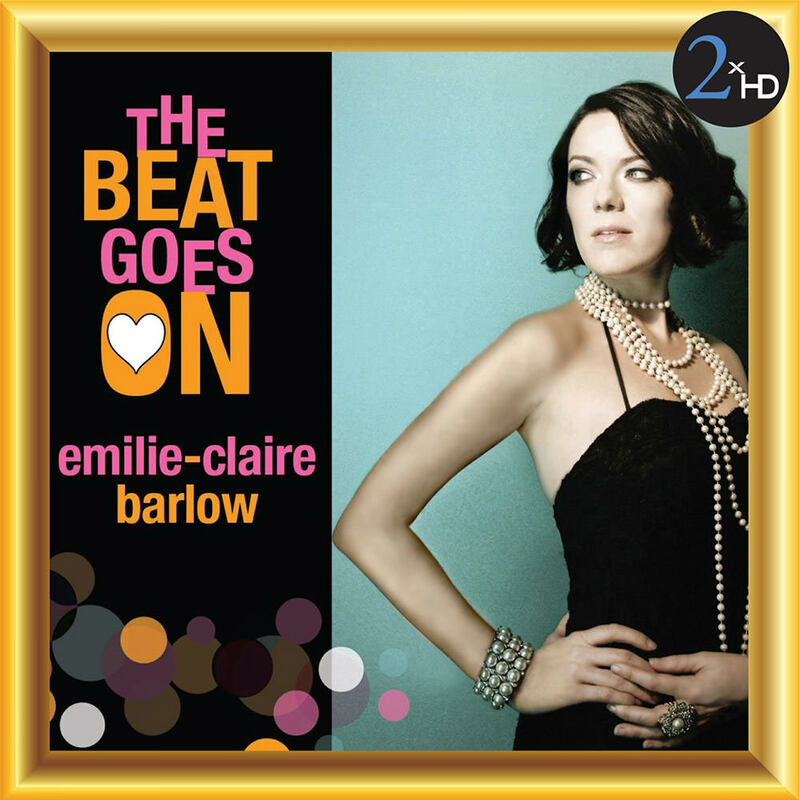 We feel transported to a Yorkville coffeehouse ..."
Canadian jazz singer Emilie-Claire Barlow pays tribute to the 1960s on The Beat Goes On, released in 2010, featuring her own arrangements of tunes by Burt Bacharach, Neil Sedaka, Donovan and several others. Among her many accolades and awards, Barlow was named female artist of the year in 2008 at the National Jazz Awards and she won a Juno Award in 2013 for Vocal Jazz Album of the Year for Seule ce soir. This album was mastered using the 2xHD process, which begins with a transfer to analogue from the original master using cutting-edge D/A converters. The analogue signal is then sent through a high end tube preamplifier before being recorded using the dCS905 A/D and the dCS Vivaldi Clock. All connections used in the process are made of OCC silver cable.